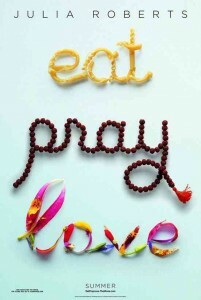 Christopher Tookey of the Mail Online says Eat Pray Love is pretty awful. No. He is not dismissing the romantic comedy, he means the leading character of Elizabeth Gilbert played by American leading lady of the screen Julia Roberts. While trying to get pregnant, a happily married woman realizes her life needs to go in a different direction, and after a painful divorce, she takes off on a round-the-world journey. The film is an adaptation of the 2006 memoir “Eat, Pray, Love: One Woman’s Search for Everything Across Italy, India and Indonesia” by American author Elizabeth Gilbert. 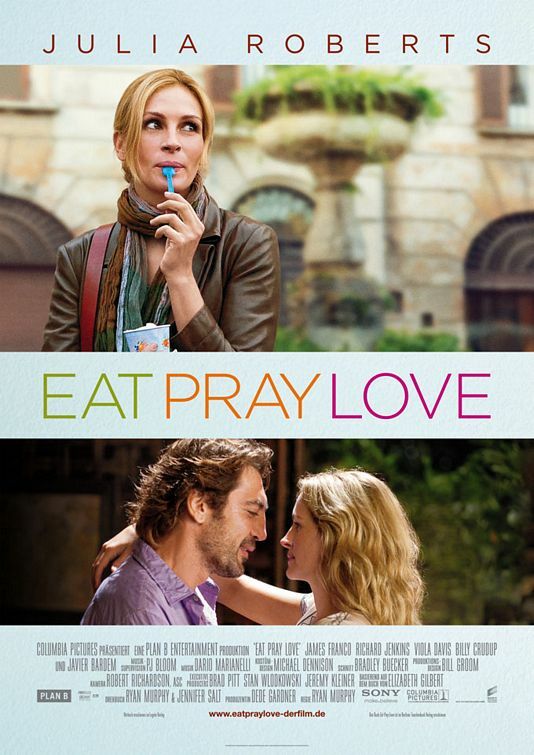 Eat Pray Love has a poor rating of 38% from 143 reviews so far, but had the highest debut at the box office with Roberts in a lead role since America’s Sweethearts in 2001. Apparently Julia Roberts is the only reason why people should see this movie as she “plays cinema’s most irritating leading lady for years,” said Tookey. El Hadji Diouf as Koko, a man Gilbert meets in Senegal. Red Carpet Arrivals begin at 6:30p.m. Screening starts promptly at 7:30p.m. The 67th Venice International Film Festival was held from September 1-11, 2010. The news video of the highlights was shown on Supple magazine from the opening ceremony to the closing day. John Woo the accomplised Asian and Hollywood director was awarded the Golden Lion for Lifetime Achievement. The following is the complete list of the winners. 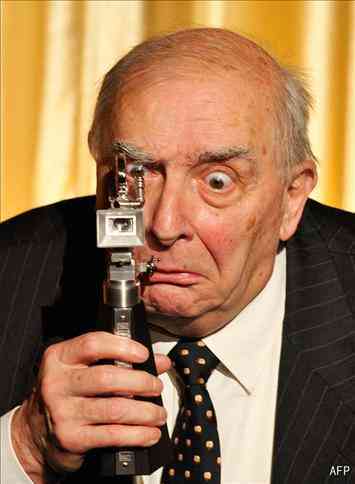 Photo: GERMANY, Berlin : French director Claude Chabrol pretends to film with his trophy after being awarded the Berlinale Camera prize in 2009. The Berlinale was deeply saddened to hear of the death of the great French director Claude Chabrol. As one of the founders of the Nouvelle Vague, he ranked among the most celebrated and productive filmmakers of French cinema. He made 71 films over the 50 years of his career. Nine of his films were presented at the Berlin International Film Festival. In 1959, he first participated in the Berlinale with his second feature film Les cousins (The Cousins), which won the Golden Bear. In more recent years, his entries to the Berlinale Competition included La fleur du mal (The Flower of Evil, 2003) and L’ivresse du pouvoir (A Comedy of Power, 2006). Claude Chabrol was invited to the Berlinale in 2009 to screen Bellamy. On this occasion, he was awarded the Berlinale Camera for his impressive oeuvre and remarkable contribution to film. Photo: A scene from Claude Chabrol’s 58th film “Bellamy”. Soyinka’s “Kongi’s Harvest”, “Son of Africa” starring Funsho Adeolu, Ola Balogun’s directorial repertoire of, Ade Afolayan’s films, Hubert Ogunde’s films, Moses Olaiya’s films and Francoise Balogun’s Money Power, to Jab Adu’s ‘Bisi, daughter of the River’, Eddie Ugbomah’s films, Afolabi Adesanya’s ‘Vigilante’, and works by other film makers like “Black Goddess”, “The Mask”, “Vendor”, “Blues for a Prodigal” and a few others. A continuity of indigenous stories representative of the then current existing lifestyle and happenings in Nigeria/Black Africa socially and politically. This gradual growth of cinematic artistry was stifled by the economic downturn of Nigeria which put film stock completely out of the reach of the film makers’ financial ability and sent the Nigerian film industry to sleep, creating the vacuum that the present home video industry, the ingenious alternative of the new generation Yoruba and English television Plays, Soap Operas and TV. Movie Directors and Producers of the late 1980s and early 1990s across Southern Nigeria stepped in to fill, still without structure simply providing entertainment on a direct home based commercial sale format as opposed to the Cinema Culture of the Colonialists which replaced our original Village Square THEATRE IN THE ROUND entertainment format. The present home video industry being a child of circumstance funded by non professionals have defied in twenty years every attempt at structurization that will define it as a colossal private enterprise independent of government, dependent only on itself and necessary Union negotiated bi-lateral trade agreements that will afford it constant smooth interaction on all levels of production and distribution with other Unionized Nations’ film industries throughout Africa and the World. In 1979, the Nigerian government set up a Nigerian Film Corporation with its 1979 Act under Brendan Shehu. It thereafter set up the Nigerian Film and Video Census Board. It set up in 1992, a committee to formulate for it a National Film Policy, and in 1996, a National Film Institute. Through MOPICON the Nigerian Government is about to create a Government Parastatal through which intends to run the Nigerian film industry as another arm of Government like NTA, FRCN, as just another Broadcasting Network of the Nigerian Government BUT the Nigerian Film industry is a Private concern of Nigerian Film Workers and Owners comprising of learned professionals in the Arts and business men/women investors in the Arts and not a Government concern. The Government infringement so far is borne out of the seeming appearance that Nigerian Professionals in Film making don’t seem to have an idea of what to do in creating a structure for their industry with the externally funded internal conflicts tearing the various guilds and associations apart on a daily basis in the last eight years. This has given rise to my study of the Evolution Process of the American Film Industry which we presently are towing its line, my arrival at the need for UNIONIZATION OF THE NIGERIAN FILM INDUSTRY and consultations with Union leaders like Comrade Sylvester Ejiofor, Comrade Henry Odugala the General Secretary of Radio, Television and the Arts Workers Union who is here present representing himself and Rattawu President, on an immediate affiliation of a NIGERIAN MOVIE WORKERS UNION on the one hand and a NIGERIAN MOVIE OWNERS UNION on the other as a temporary arrangement while these two unions representative of the Nigerian film industry’s true practitioners not teachers, government appointees or employees, seek legislation for separate Unionization after having spent a minimum of three years paying tax through this affiliation to government which would afford the industry the right and credibility to seek and get legislation passed on our behalf by the National Assembly. ‘‘Before Hollywood, There Was Fort Lee…’’ which is to say before sophisticated structural organization, there would always be the years of seeming un-organization which are those years every industry spend in cutting her teeth. enables it to contest broadly in court and get the right amount of reparations in law. Right now, what is operative in the industry are poorly produced content, poorly paid practitioners, low budget/non existent product publicity, limited distribution and a Ghana Union influenced market strategy take over of Nigerian Actors’ jobs in Nigeria by Ghanaian Actors due to lack of a legislation backed structure that protects Nigerian Actors, equally operative, is the bane of movie owners and their hired producers giving the job of professionals to the un-trained at will in the face of Guilds who are powerless to stop this trend for lack of any legislative backing. Unionization will afford correction of the un-organized image of the Nigerian Film Industry, the present impression to corporate bodies, the ordinary Nigerian, the Nigerian government and interested foreign partners. Unionization will open the door that foreign film industries have been waiting to walk through to interact with Nigerian film workers and owners based on merit, based on choice not reference. Unionization will enable the Nigerian movie workers request their right at any time through dialogue or necessary pressure from the Nigerian movie owners without any government interference because this are two market forces dependent on each other for production. Twice in the past, the Actors and Directors Guilds of Nigeria had called strikes because members wanted improved working terms, these strikes failed because they are registered only as associations, and not representative of all Movie Actors And Directors in Nigeria. The present coalition of guilds is still not representative of all movie makers in Nigeria neither can any one umbrella body represent workers and owners i.e. employees and employers without creating constant conflicts of interest. costs, and henceforth be annually recycled into the funding of a piracy management task force under the Union run by industry players who are so trained for that purpose and union staff salaries. Unionization will also create the earning power for star actors to afford agents, entertainment lawyers and other relevant associate workers enabling the industry to take its proper form and shape. Unionization will separate the men from the boys and the women from the girls in the movie owners union with the right investment which will give each owner the proper motivation not just to make his/her money back but to run away with his/her profit. What the Nigerian film industry needs are two unions representative, one; of the workers who are employed film makers as a Nigerian Movie Workers Union, two; the Nigerian Movie Owners Union representative of the Executive Producers who are owners therefore employers in the industry. responsibilities depending on the way a Producer, Director or Film Company defines the position. For instance, a gaffer can double as an electrician and/or a location scout and sometimes jobs overlap as in the case of an Art Director who is also the production designer but whatever the title or designation, a movie worker in the context of this presentation and Unionization is anyone who inputs non financially into the process of the final end product film content and therefore call the film their Artistic Investment. A producer in the existing Nigerian context is sometimes also the Executive Producer. In the context of this presentation and Unionization, a movie owner comprises of all persons/company who input financially into the production process that result in the end product that is the film content and therefore call the film their Financial Investment. stakeholders to a one week retreat at Akodo Resort in Lagos to brainstorm and work out the modalities for the Unionization of the Nigerian Film Industry right across Nigeria into two unions: The Nigerian Movie Workers Union and the Nigerian Movie Owners Union. the owners union on the other side. The quality of content will mirror the true quality of talent that this country has, workers will take their time to produce the right content and owners by virtue of the investment in each film will have the proper publicity and marketing network/budget that every film company should have to input into the distribution of each film in order to exhaustively tap profit from the sprawling market available in Nigeria and outside Nigeria. position of strength in law as a private sector industry. “ Il buono, Il brutto, Il cattivo” alias The Good, The Bad and The Ugly, was a big hit movie in 1966 that started Clint Eastwood’s career as an instant International star, but it wasn’t the only role that found him second fiddle to Richard Burton in those days. A tough-guy action hero with an offbeat humor, an exceptional talent, and later on, a brilliant director, Clint Eastwood has made his mark in the World as a living legend and a never-before icon who has set a standard in Hollywood that is truly unmatched by anyone else. Nominated for an Oscar, six wins and six nominations, The Bridges of Madison County, which he not only directed but also starred in opposite Meryl Streep, was the most successful romantic drama of our generation. This kind of love happens once in a lifetime if one is lucky, but expressing this on the big screen with seemingly little or no action to go on makes Eastwood the ultimate director of all times. Playing away from typecast, he proves himself diverse yet again with only one of the exact same ingredience as before: Excellence. Charting onto tougher life-lessons, Eastwood then acted and directed arguably the best picture of his life, Million Dollar Baby, expressing the everlasting sorrow produced by a painful estrangement from love by blood, – which then translates into a lost, but “tough” soul that has been seeking forgiveness for the past 25 years, despite the façade of a “Hell, do I care…” attitude. A critical and commercial triumph, the movie won the Academy Award for Best Picture, as well as earning Eastwood a nomination for Best Actor and a win for Best Director. Both these movies linger with the soul for a lifetime. And, in one word, that is the trademark of Clint Eastwood. The fact that he directed 9 different actors in Oscar-nominated performances just speaks about the magnetism and charisma he has on or off screen. Not a huge surprise then, that Clint Eastwood has again directed a new film that is vastly different from any other previous work. This time the main character is Nelson Mandela in a breathtaking true story given life by such exquisite actors as Morgan Freeman and Matt Damon in Invictus where the story is wrapped around rugby, a very popular sport in South Africa. As obvious as history shows us, there must have been traps and possible held backs with such a task, which must have posed a need for a delicate balance for him as a director. “Mandela knew that the white population still controlled the army, the economy and the police, – so he made the statement ‘We need every brick to build the country, regardless of what color it is.’ – and he did do. Yet, he did not strip a lot of the government offices, which is what politicians usually do, in which he is obviously a superior person, despite that he was in prison for 27 years. The normal human emotion would have been to come in and be vengeful, – I think,” he says. “Come in and strip everything down, – like we do it in this country, – but Mandela sort of looked at the bigger picture of everything. That is what attracted me to the story, and in fact it was almost one of the biggest obstacles to not make him too Christ-like, – but he is,” Clint concludes with a laugh-like smile. That famous one that supports what he means, yet charms you to your core, topping it with a voice that resonates with just the right decibel of authority and kind, unimposing intelligence. In other words, the qualities that make someone powerfully charismatic, yet deeply humble. There is an understanding in Clint Eastwood that bubbles to the surface, but is hidden enough for the audience to discover layer after layer about the message unfolding in his films, unexpectedly reaching the deepest level of emotions in viewers. It’s a little bit like he seems in real life: starting a sentence, but then giving it up because there is just too much to say all at once and it is almost better to drop it and start anew scattering it all at once until one big painting becomes a Picasso. That is where genius is born. While religion and culture separates people, this famous ’95 rugby event really did bring people together in a way that sport seldom does. They were dancing in the streets together and everybody was having a great time. You had not seen blacks playing rugby before 1995, but now you do in the fields everywhere, although not always in uniforms. It is something people continue do to this day, thanks to the events of 1995. Whether or not it is more difficult to portray a real story on screen than fiction depends on how well written the script is and whom one works with. 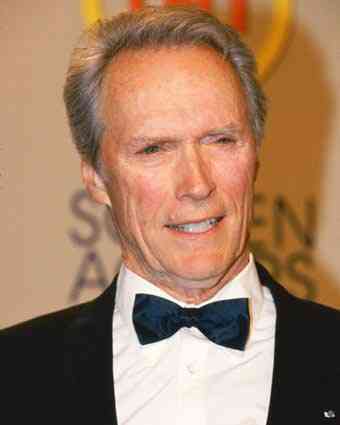 On this film all of Clint’s actors were professional rugby players with just a few exceptions. What would he want the audience to capture from this latest movie? Clint Eastwood, a five-time Academy Award, Golden Globe Award, and People’s Choice Award winner, continues to fascinate through his movies, always conveying a message that touches us deeply with lingering thoughts that only an artist with the deepest understanding can create. He is someone who continues to write entertainment history with every role he plays and every film he directs. About the Writer: Adrienne Papp is a recognized journalist who has written for many publications including Savoir, Beverly Hills 90210, Malibu Beach, Santa Monica Sun, The Beverly Hills Times, Brentwood News, Bel-Air View, Celebrity Society, Celeb Staff, It Magazine, Chic Today, LA2DAY, among many others. She is the President and CEO of Los Angeles/New York-based publicity companies, Atlantic Publicity andAtlantic Publisher. Adrienne writes about world trends, Quantum Physics, entertainment and interviews celebrities and world leaders. She also owns Spotlight News Magazine. Fantastic films from Wallonia Brussels will be showing at the 35th Toronto International Film Festival. 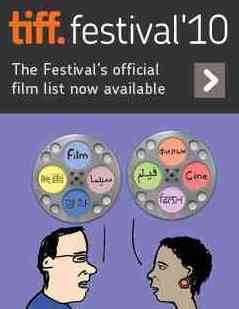 They are among the 300 films to be screened at the celebrated film festival from September 9-19 in Canada. A must see is the world premiere of Djo Tunda Wa Munga”s VIVA RIVA! Three young boys aboard a French naval vessel in 1974, unaware of the risks they run and the dramatic effects on our planet, take part in the nuclear tests in Mururoa, in the Pacific. A raw acerbic story about the relation- ships of the men on board, confronted with discipline, violence, occasionally friendship but most of all by a solitude and distress that cannot be shared and is much too heavy to bear when one is only 18.
works as a security guard at a shopping mall. His life is plunged into turmoil the day a young man carrying a backpack blows himself up in the mall. Fear, frustration and guilt are the central themes of this story. At the end of the 1950s, the Chinese government condemned thousands of citizens – considered ‘right wing dissidents’ due their past activities, criticisms of the Communist Party or simply their middle-class backgrounds and families – to forced labour camps. A high class prostitute and an eminent psychoanalyst discover that they share many things in common. They are both unhappy with their professions, seeking a way out that involves unique contact with each other’s worlds. Adam, sixty something, a former swimming champion, is pool attendant at a smart N’Djamena hotel. When the hotel gets taken over by new Chinese owners, he is forced to give up his job to his son Abdel. Terribly resentful, he feels socially humiliated. I was taken back when I saw the film “Expecting Mary” a few weeks ago because the characters were so uncharacteristically loving. In our culture today everything is about “what can I get” and “what can I give” only seems to arise when we remember we want to go to heaven or become more enlightened for reincarnation. The film and its characters display an unconditional sense of community, love, and non-judgment that has kept me very present to how I was loving/treating others. The award winning romantic family movie Expecting Mary starring popular Russian American actress Olesya Rulin, aka piano player Kelsi of the High School Musical fame will premiere in Tennessee on September 10, 2010. “Expecting Mary is the story of a young girl, who’s had all the trappings of an upscale life, but it’s only when she finds herself in a small New Mexico town, in a downtrodden trailer park, that she learns the real meaning of love, sacrifice and family, ” said Dan Gordon, the director. Bridget Nielsen of Modern Mom said Expecting Mary has taught her more lessons on how to love and treat others as shown by the unique unconditional love of the personalities portrayed in the film. Interview with Yehudit Silverman from Yehudit Silverman on Vimeo. 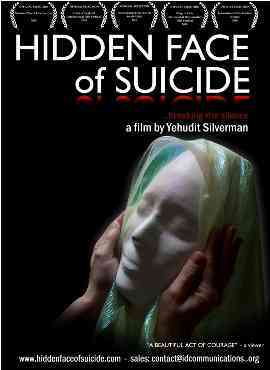 The Hidden Face of Suicide Trailer 2010-07-23 from Yehudit Silverman on Vimeo. Critically acclaimed documentary The Hidden Face of Suicide will premiere Wednesday September 2, at Montreal World Film Festival according to a news release by Canadian-based ID Communications Inc. The film recently won Best Documentary under 60 min at the Heart of England Film Festival. The Hidden Face of Suicide explores the taboo subject of Suicide. 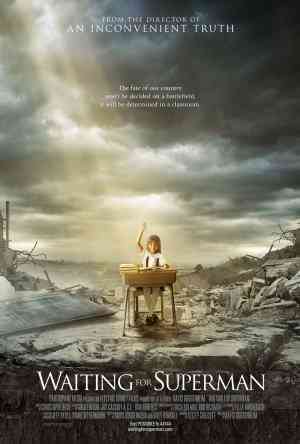 It was directed and produced by Yehudit Silverman. Focusing on the lives of suicide survivors, or those who must deal with the aftermath of someone who has taken their life, “The Hidden Face of Suicide” seeks to provide a voice for those whose lives are often shattered by the loss of a loved one. “This award comes at a good time for us, as we prepare for the North American premiere for the film at the Montreal World Film Festival. This is also very special as Montreal is where the film was produced” says Dan Shannon of ID Communications, who represents the film for international sales. “We will also be active promoting the film online in terms of niche marketing for DVD and Video on demand following the North American premiere”, says Mr. Shannon. The film has thus far been accepted in nearly half a dozen film festivals, with screenings at Montreal World Film Festival to take place on at the NFB Theatre, Sept 2 at 7:30pm and Sept 4 at 9:30PM. ID Communications inc. is a Montreal-based boutique film, television and web marketing company specialized in the area of international sales representation and distribution for film, TV, DVD and web-based properties.